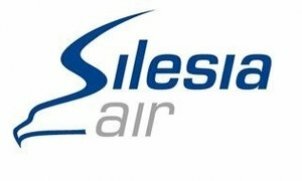 Welcome on board of Silesia Air planes. We fly for you, according to your need and time schedule. Check in and Custom controls for our flights are carried out separately from airliners. You may arrive to the airport shortly before your agreed departure time and avoid all unnecessary waiting and queuing. We take you straight to your destination without the need of tiring changeovers. Our plane is able to operate form regional airports that are not being used by normal airlines. In case your program should change we will fly sooner, later or to a different destination. Our Operation control office that operates on 24/7 basis handles all problems with regard to such last minute changes. You don’t need to wait for your plane, it is waiting there for you. It is up to you to decide with whom you will travel. Privacy on board of our plane may facilitate undisturbed conversation and meetings or simply a time to relax. Catering of your choice and rich minibar selection is a standard on board of our plane.